I put away our Christmas ornaments today and disassembled the tree; I packed up the lights around the window, the “candles” in the dining room, and the gingerbread tea light holders. Because we’re not quite finished burning through this year’s Frasier Fir candles, I’ll keep our new Sagaform votive holders out a little longer. The spot where the tree was looks awfully bare now, but it’s nice to get things put away and to look forward to next year. 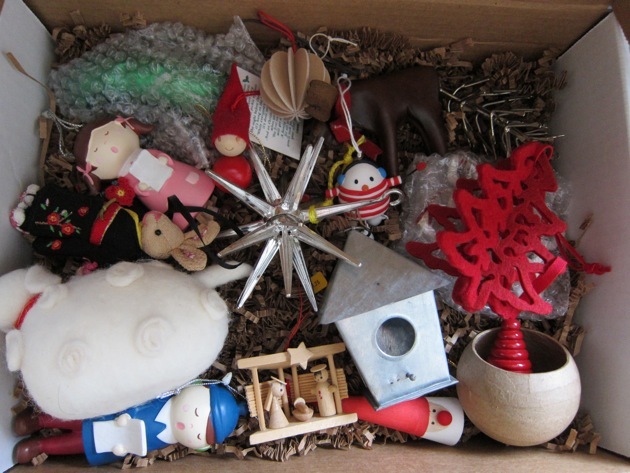 I pack all of our mostly-flat ornaments in an old chocolate box in layers of tissue; the more dimensional ones are stowed in a larger box cushioned with crinkle-cut paper. For added protection, any ceramic or glass pieces are clad in bubble wrap. 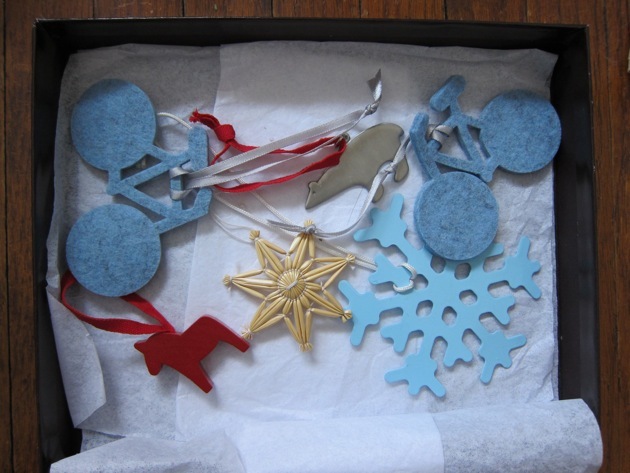 As if that wasn’t enough, a very few of the ornaments (not pictured) spend the better part of the year obsessive-compulsively stored in their original boxes for maximum security. All these smaller boxes fit into two plastic totes with locking lids to protect against the periodic flooding our storage space is prone to—the cause of which has thus far not been discovered. 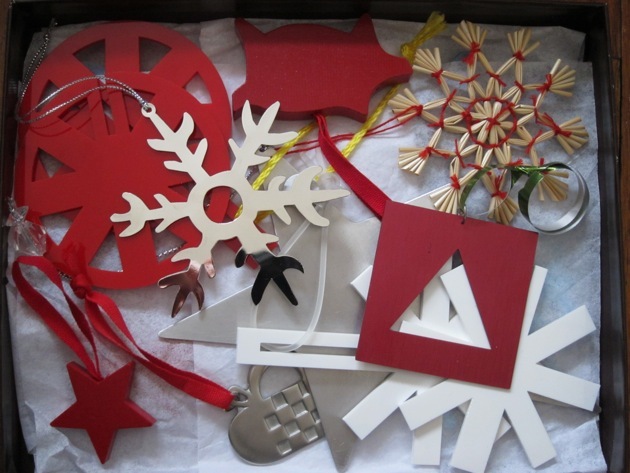 And so, comfortably enough past Epiphany, we close up the boxes of Christmas until next year. This entry was posted by Martha on Sunday, January 9th, 2011 at 7:48 pm and is filed under Apartment, Holidays. You can subscribe to responses to this entry via RSS. 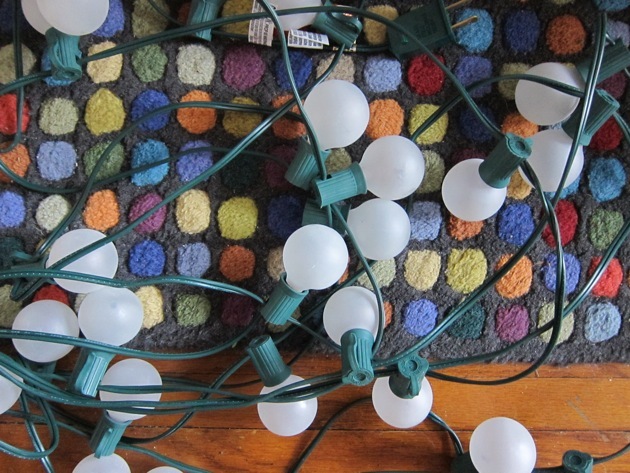 For me putting Christmas away is as much of a ritual as opening it in mid-December. While I un-decorate the tree I like to play Raffi’s Christmas music and Peter Paul and Mary’s Christmas album and sing: “Why can’t we have Christmas the whole year around?” The part about being Christmas people all year is what I like about this last mentioned song. And you’re right the place where the tree stood does look bare – I contemplated the pile of pine needles on my floor after the tree went out to the curb. Christmas tells its own story which we add to each year.